Back in late May of 2018, I noticed an email on the Club Log mailing list from Michael G7VJR, the author of Clublog. 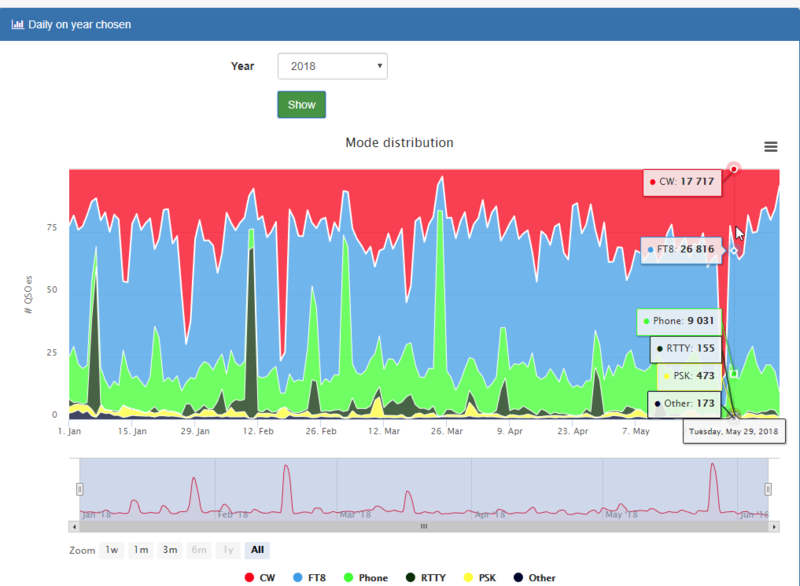 He wrote about the interest in the growth of the FT8 mode, and if other modes are losing out to it. He made the raw data available to anyone who wants to make anything out ot it. As I’ve played around a lot with databases, statistics and graphs, I thought, why not try to make something out of it. I made a page with graphs that present the data in different forms. As the possibilities with data like this are endless, I chose to make available yearly, monthly and daily graphs within the year specified. 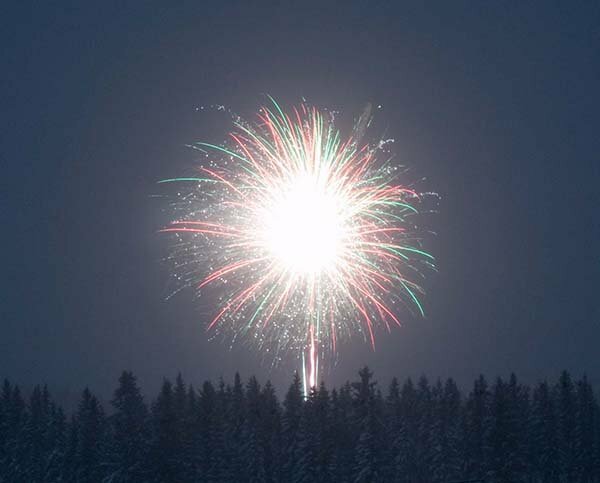 The data starts at January 1st 1990, and the raw data is usually updated from Club Log around the 10th of each month. As for my own use of FT8, I’ve played with it since the first beta was out last year. I was running a few openings to North America on 6M last year, and I noticed that the openings were too short for JT65. That’s one of the reasons why FT8 was developed, and I also worked K1JT himself on 6M in July last year. The most interesting aspect with using a mode like FT8, is the opportunity to look at a map and see where I’ve been heard, and what I have heard. I use pskreporter all the time for this. I often leave my radio on when I am not in front of the radio, and then check the map later on to see how the propagation has been. 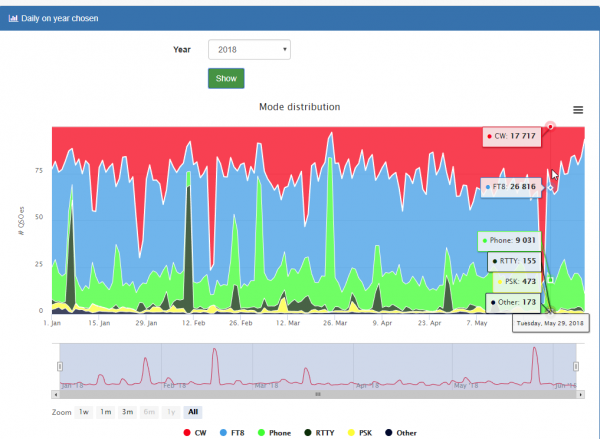 The problem with FT8, in my experience, seems to be that “everyone” are using it. If you listen on the FT8 frequencies, you hear a lot of activity. If you check the CW or SSB portion of the band, you either hear nothing, or very little. I don’t know if this is a period that will pass, but for the time being, FT8 is very popular. I use it, but at the same time, I found it a bit boring and unpersonal when it comes to making contacts on the radio. Ok, enough with that, take a look at the statistics here. 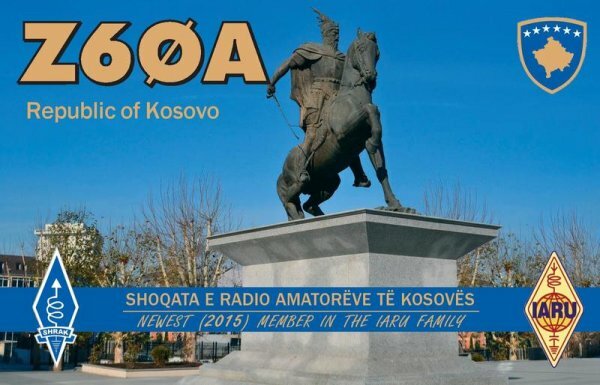 In January this year, it was announced that the Republic of Kosovo would be added to the DXCC list. It wasn’t long until a group started the activity on the bands. My first qso this year, was 6O6O on 30M CW on January 2018. My previous qso was made back in November 2017. 6O6O was a joint expedition by LA7GIA and KO8SCA. That was the only band I managed to work them on. On January 12th, I worked TY2AC on 40M CW for a new one on 40M. On January 14th, I worked PJ7/UT6UD on 40M CW for a new one on 40M. On January 24th, I worked Z60A on 30M CW for and all time new one. That means I’ve worked 339 DXCC’s. I only need 5 DXCC’s now to have worked them all. That was my first qso with Z6. I worked them on 40M, 20M and 17M CW a few days later. On January 29th, I worked C81G on 30M CW from iota AF-061. 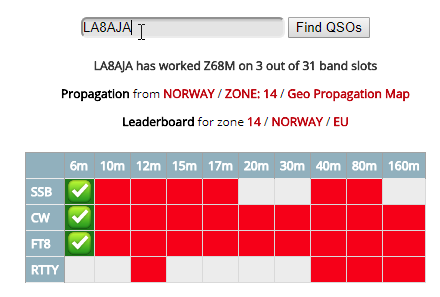 On March 6th, I worked Z2LA on 30M FT8. 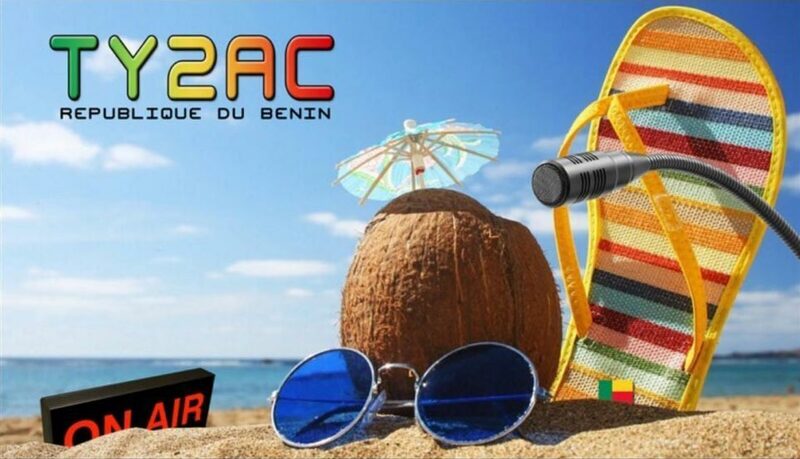 Z2LA was a joint dxpedition by LA7WCA, LA7THA and LA9VPA. Om March 7th, I worked XV9DLH on 30M FT8 for a new one on digi. On March 9th, I worked Z61AS on 30M FT8 for a new one on digi. Om March 11th, I worked 3B9FR and C93PA on 30M FT8. Those were new on digi. I also worked 3D2EU and XR0YD on 30M CW. On March 12th, I worked 3D2EU on 30M FT8 for a new one on digi. On March 17th, I worked TN5R on 20M CW for a new one on 20M. On March 18th, I Worked 3C0W on 20M for a new one on 20M. TJ2TT was worked on 17M CW for a new one on 17M. 5A1AL was worked on 17M FT8 for a new one on digi. On March 20th, I worked TI2CC on 30M FT8 for a new one on digi. On March 24th, I worked TJ2TT on 20M CW for a new one on 20M. I worked 9L/KW4XJ on 40M FT8 for a new one on digi. On March 27th, I worked 9G5ZS on 30M FT8 for a new one on digi. On April 1th, I worked JW7QIA on 40M FT8. On April 2nd, I worked 5B/LA7THA on 20M CW. I worked YB6/JA1PBV on 30M CW from iota OC-161 for a new iota. 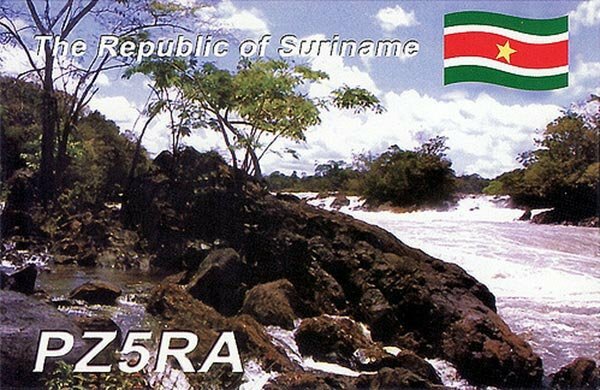 On April 7th, I worked VA7XW/VE2 on 30M CW from NA-038 for a new iota. On April 11th, I worked VE7ACN/VE2 on 30M CW from NA-083 for a new iota. On April 30th, I worked C96RRC on 17M CW from iota AF-088 for a new iota. 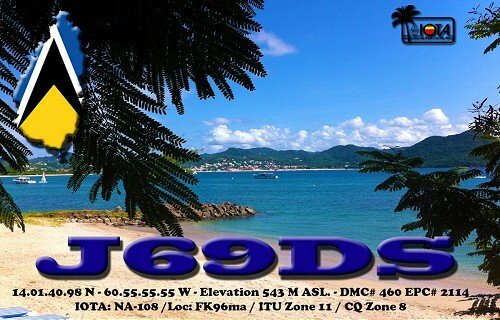 YB3LZ/8 was worked on 30M FT8 from iota OC-242 for a new iota. On May 1st, I worked AP2MQ on 20M FT8 for a new one on digi. 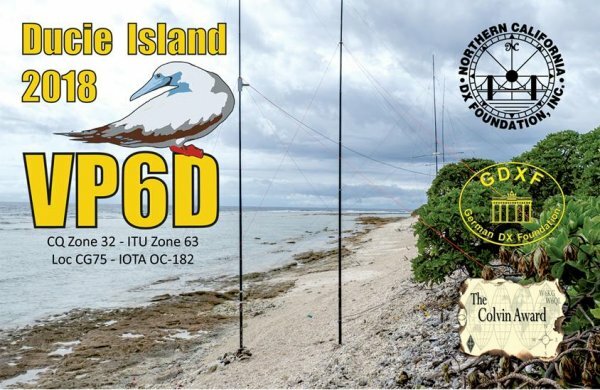 On May 7th, I worked C98RRC on 17M CW from iota AF-066 for a new iota. That pretty much sums up the first half of this year. I’ve been playing around with FT8 (who hasn’t these days?) quite a lot. In that process, I’ve worked several new ones on digital. I’ve also gotten several confirmations on previous worked dxcc’s that weren’t confirmed. Hopefully I’ll write more often here, but I see that I’m not that motivated, or inspired, to write here. Life is busy, and I’ve been doing a lot of programming lately. I’ll write about that in a later post here. The site is now using https. Some things might be broken, but I will fix them as soon as I can. Here are my stats for my JW8AJA call. These stats are from February 16th, 2018. I have 93 DXCC’s confirmed and 50 states. It seems as I have gotten a Delaware confirmation without me noticing it. It turns out that K3WI has confirmed an LoTW contact. My log however, shows Maryland on that one. I don’t know how that one slipped past me. Anyway, all 50 states confirmed on LoTW. Now all I need are 7 more for LoTW DXCC. The total percentage has not increased very much, but I see some new confirmations show up on LoTW from time to time. Keep those confirmations coming!